RV Park on Black Hawk Lake! 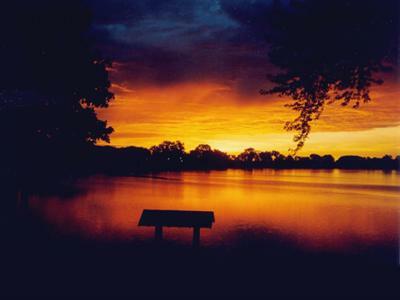 Set on the shores of beautiful Black Hawk Lake, Camp Crescent offers all the best that Iowa camping has to offer. Join us for terrific family camping activities like fishing, boating, swimming, hiking, biking, bird watching, and golfing. 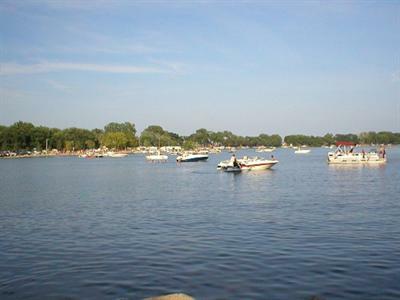 While you're here, you can enjoy all the attractions of Lake View and Black Hawk Lake. Plan your visit today with our easy-to-use online reservations system. Camp Crescent is conveniently set off Highway 71 and Highway 175 in northwestern Iowa. If you're looking to get off the Interstate and slow down a little in a quiet, country atmosphere, you can't beat our Lake View campground. 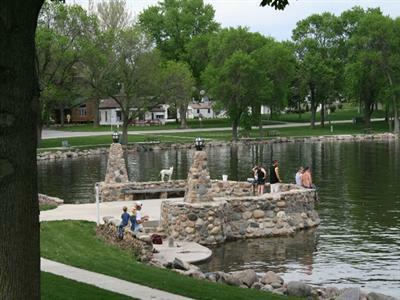 Our family-friendly Campground is owned by the City of Lake View, and we're open from April 15 to October 1 every year. We offer great daily rates online, and if you stay for six nights, you get the seventh night free! At Camp Crescent, our guests take advantage of our four local boat ramps to get their canoes, motor boats, fishing boats, and paddle boats into Black Hawk Lake. You can fish for walleye, crappies, bullheads, catfish, bass, and bluegill, or join us for the August Carp Fishing Contest. Head to the Sauk Rail Trail for hiking and biking or stroll along the Stub Severson Trail in Black Hawk Game Preserve to watch for deer, rabbits, eagles, and pelicans. And be sure not to miss the historical museum's pioneer log cabin. There's always something fun going on in Lake View, from the the April Pelican Fest to Halloween in September. You can take in the city-wide Garage Sales in late May, the Sip-n-Sample Wine Tasting in June, and the Summer Water Carnival in July. In the summer we celebrate Camp Crescent's Garage Sale weekend and late July brings the annual Sac County Fair and don't forget the free Concerts on the Stone Pier. With all there is to see and do, we know you're going to love Iowa camping with us!